The definition of what makes a good aperitif is often hard to define. In France, an aperitif is usually Pastis or a similar drink while in Italy; the word aperitivo means so much more, particularly in Northern Italy. An aperitif or l’aperitivo is a social moment of the day, as much as a chance to see friends and have a conversation as it is to grab a drink and maybe some snacks. L’aperitivo is very popular throughout Italy and has really been catching on abroad as well. The concept of l’aperitivo is quite different from Happy Hour as Americans intend it. First of all, the drinks are not discounted. Sometimes, they are actually even more expensive to compensate for the food that is offered. Secondly, people drink a variety of drinks at the aperitif. Thirdly, in Milan, the Northern city and financial capital of Italy for example, l’aperitivo often substitutes dinner. I miss those many “ape” with friends, particularly during the holiday season. In terms of the functions of an aperitivo it is supposed to open up your stomach and be the entrance to a meal. This is not always the case. Many aperitivos go on very late and actually take the place of dinner. An aperitivo is a great idea before going to the theater or a movie. This small meal can tied you over or satiate your needs, depending on your eating habits. Bartenders put out wonderful spreads of small pizzas, focaccia, torte salate , some rice dishes, pasta dishes, cold cuts and vegetables. This is almost always supplemented by the requisite potato chips and olives. L’apertivo is a ritual of Northern Italian life and is slowly making its way to New York, I am happy to say. In addition to a variety of foods, there are classic aperitivo drinks as well. The first question is whether or not you want to drink something made with alcohol. For those that don’t there is usually an option of something made with a variety of fruit juices. This is called an analcolico. The second question is whether you want wine, beer or hard liquor. The wines are usually sparkling either Prosecco or Spumante from Franciacorta or Trento. Many opt for a crodino or aperol. The specialty drinks that are usually ordered are a Negroni, a Negroni Sbagliato, an Americano, a Mojito or a Caipirinha. 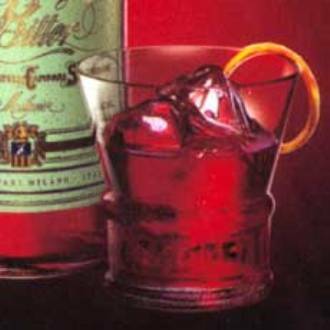 A Negroni is made with Gin, Vermouth, Campari and orange peel while a Negroni Sbagliato substitutes the gin for sparkling wines. An Americano has vermouth, Campari, and soda while the Mojito and Caipirinha are based on Rum and Cachaca respectively. An aperitivo that has been garnering a lot of interest throughout Italy is the Spritz from the Veneto. This delicious drink is made with Prosecco, soda, and Campari or Aperol. I always choose a Spumante although once in a while a Negroni sbagliato is the drink of choice. You can get an aperitivo in New York at a number of places. I was reminded of this the other day at Piola. Aroma on the Lower East Side and Emporio in Nolita and a host of other places around town offer l’aperitivo. I find that an aperitivo is a good way to meet friends without having to get involved in a long dinner. It can also be fun to invite people over for an aperitivo at home. 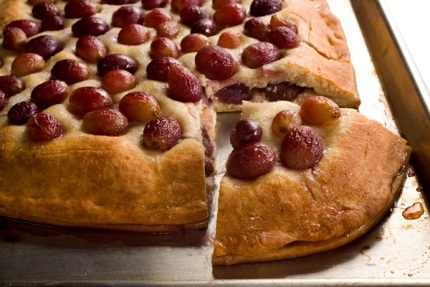 Some of the classic Italian recipes for an aperitivo include focaccia and small pizzas. Essentially, anything can be served as an aperitivo. Most aperitivi run from about 7 to 9 p.m in Italy but start earlier in New York City, around 5 p.m. Having an aperitivo has traditionally been a smart way to get people into a restaurant, especially in difficult times such as the current recession and aftermath. The aperitivo renaissance in New York, this most Italian of traditions, is certainly here to stay.